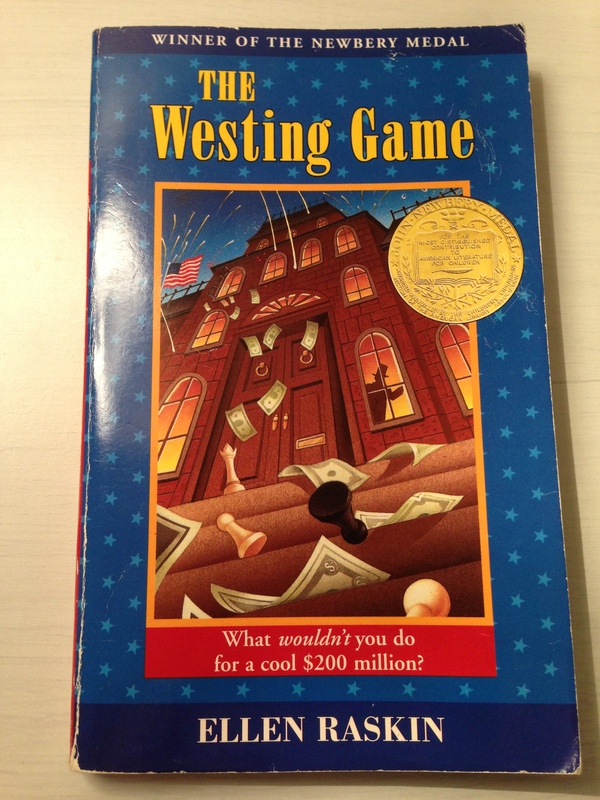 Before I dove into my epic project of annual rereading I decided to make my way, for the first time, through one of Caitlin’s favorite books from her childhood: Ellen Raskin’s murder mystery The Westing Game. The book’s events are set in motion by the will of corporate mogul Sam Westing as Westing’s posthumous commands pit his sixteen possible heirs against one another in a battle of wits with the Westing fortune hinging on the outcome. First, my conclusion: this is a great children’s book. The writing is tight and precise and mysterious and never overwhelming. The characters are diverse and the puzzles (which are just begging for the reader to try and solve them) are engaging. The book’s conclusion is, rather surprisingly, touching and poignant. In the end, there is something timeless about The Westing Game (1978). In a book that is surely best remembered by children for the way that it teased out the solutions to Westing’s puzzles, the aspect of The Westing Game that I found so remarkable was the culturally progressive and diverse nature of its vast array of characters. Among the book’s numerous personalities are a black female judge, an accomplished Chinese runner, and a young boy with a condition resembling ALS. Raskin never lets her throng of characters become stereotypes or caricatures, either, as all of Westing’s possible heirs maintain distinctive personalities that are based on much more than just surface traits. In other cases I’ve complained about a lack of depth in characterization. But not here. And when you consider how ingrained homogeneity is among some of today’s young adult readers, that The Westing Game was able to so gracefully depict a wide range of cultural types all the way back in 1978 becomes all that much more impressive and vital. Its mysteries are fun and exciting, but its diversity was years ahead of its time.